PLEASE SHARE ON ALL OF YOUR SOCIAL MEDIA OUTLETS. 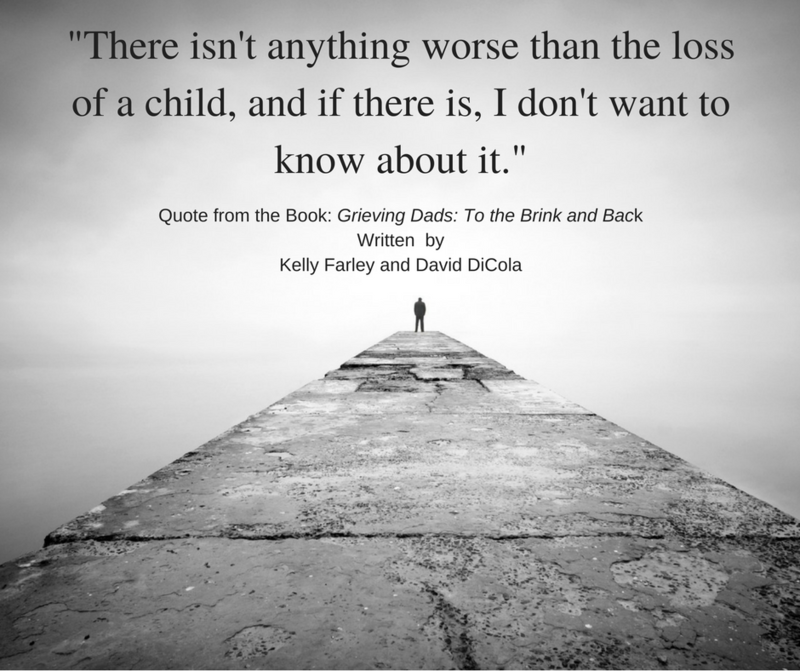 One of many quotes from the 100’s of grieving dads I interviewed for my book. This one is so very true, I DO NOT want to know of anything worse. Thanks Kelly – Appreciate your efforts to remind me that I am not completely lost my mind. Thanks bother. You are correct, we are not contagious. However, I think its more of a reminder of what could happen to them and their child and that scares the hell out of them. I get it. It should.